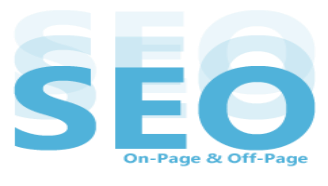 Ecom Solutions Search Engine Optimization. Do you need a SEO Company that will drive you more traffic and business? We are SA's Leading Search Engine Optimization (SEO) & Website Development Company highly professional builds professional, cost effective websites for tradesmen, induviduals and small to medium sized businesses. Our services includes website audit, web application, software development and (SEM) Search Engine Marketing, Intenet Marketing, SEO services to clients all over South Africa. We help you get more from the web! At Ecom Solutions Kimberley, a professional internet marketing specialist can work with you, or your team, to analyze your website, your internet marketing campaigns, your objectives and the exact actions you need to take to achieve them. Contact Ecom Solutions TODAY for an obligation free consultation for your Website project. to make sure it is valid and trusted. LET US MANAGE YOUR WEBSITE SO YOU CAN CONCENTRATE ON THE BUSINESS! How Long Does it Take for SEO to Show Results? The question you should be asking yourself is, How long until I see seo results? Is mobile-friendliness affecting Google ranking yet? Test your site using Google's Mobile-Friendly Test. We Know What It Takesto be the SEO Leader! Our Portfolio reflects the rich diversity of projects we have worked on from start up businesses to large database driven web sites. We promise to provide a Web Solution that suits all your business requirements and helps it to grow in every way.